Lakewood, NJ – December 18, 2017 – UNEX Manufacturing, Inc., the trusted industry leader in providing innovative order picking solutions, announces sales veteran, Jerry Cabello, as the Western Regional Sales Manager. Jerry will be focused on strategic growth in the Western USA, Mexico and Latin America. Cabello has over a decade of experience in distributor and technical sales and customer service with proven success in increasing sales, both in the US and internationally. In a strategic move, Chuck Doty will transition from UNEX Western Regional Sales Manager to become UNEX’s Span-Track® Product Manager. Doty has over 24 years working in UNEX sales and management functions. As Span-Track Product Manager, Chuck will provide engineering leadership for continuous development and growth of the Span-Track product line, working closely with engineering, sales, marketing and client support to ensure revenue and customer satisfaction goals are achieved. Previously, Jerry Cabello worked as the Sales Manager for Bisco Industries, tasked with account management, sales and support within Latin America and European territory. Prior to that he was a Sales Engineer at I-Source Technical Services, Inc. where he was responsible for global accounts. 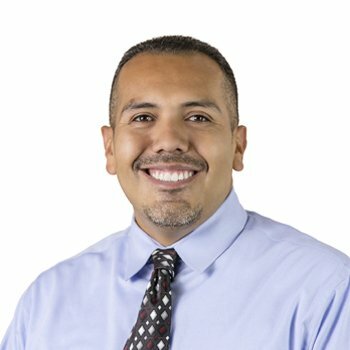 He is a U.S. veteran and graduated from Fullerton College with an Associate’s Degree in Business Law and the University of Phoenix with a Bachelor’s degree in Business Administration and Management. As Product Manager for Span-Track, Chuck Doty is responsible for defining the product strategy and roadmap for the complete Span-Track product line. Doty understands the material handling market – the key players, issues and challenges that customers face, and how to deploy UNEX systems to create successful implementations. He has decades of experience in the industry and has installed over 10,000 successful projects with UNEX. UNEX Span-Track provides conveyor-like carton flow that doubles capacity. UNEX carton flow can be integrated into any structure, ranging from shelving to specialized pick modules. UNEX also designs and manufactures a full line of gravity conveyor products tailored to the order picking process. UNEX Flow Cells can be used as durable, modular and portable workstations for the manufacturing floor, boosting productivity and improving ergonomics.